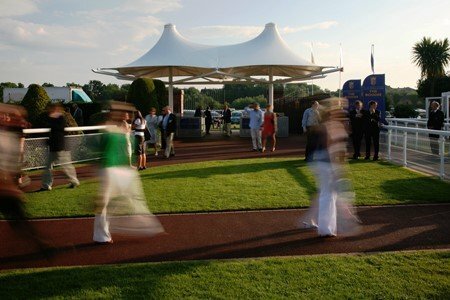 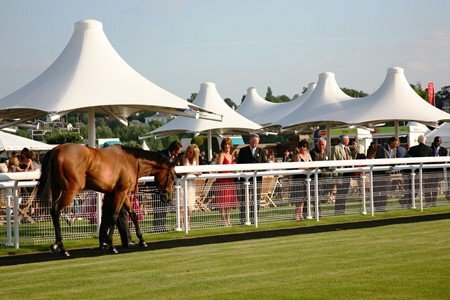 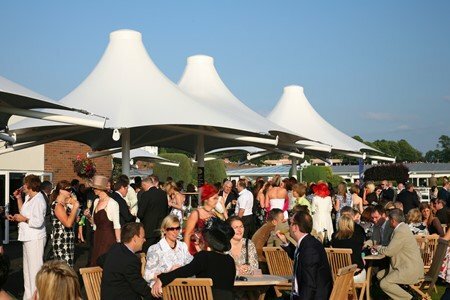 As the oldest racecourse in Britain, Chester Racecourse continues to ‘up its game’, offering the absolute best in spectator services and an enhanced fan experience. 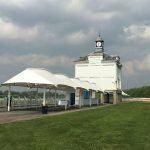 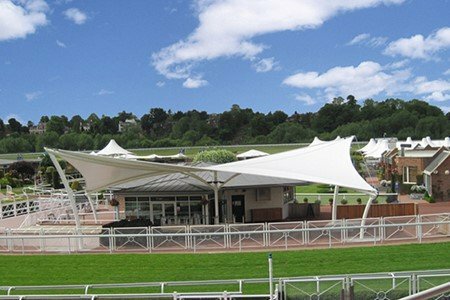 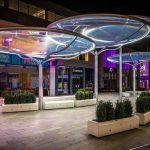 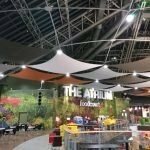 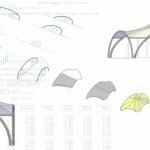 Fabric Architecture supplied the latest in a series of tensile structures, this time designing a bespoke hypar-form fabric canopy to cover an outside seating area attached to one of the on-site restaurants. 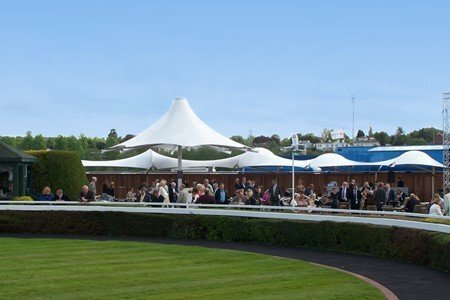 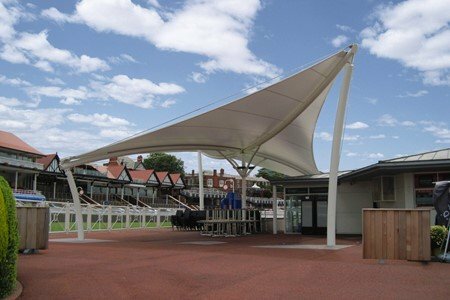 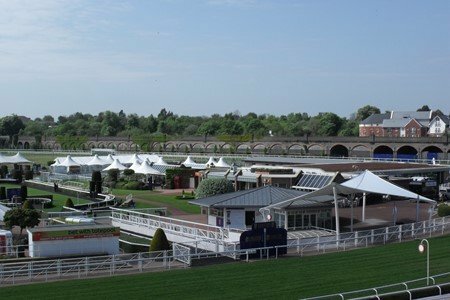 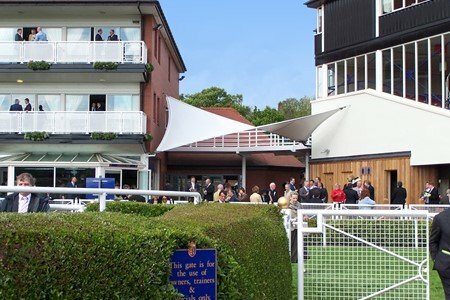 Fabric has proven a winning solution for Chester Racecourse. 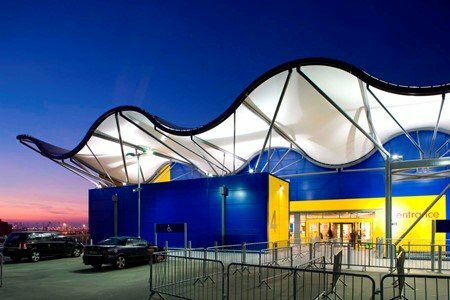 There is a subway system running directly below the structure. 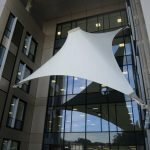 This impacted the engineering loads we could place on the ground, the location and the installation of the structure. 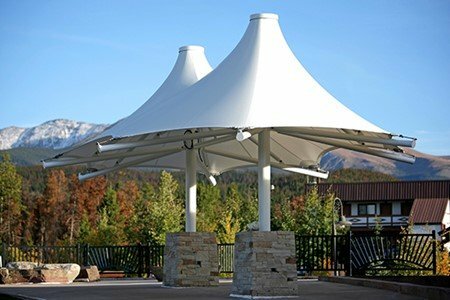 In addition to engineering challenges, it was important that the tensile structures did not block the views of race fans. 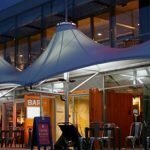 For height clearance, the hypar was selected and the tensile structures shifted slightly to over-sail the restaurant. 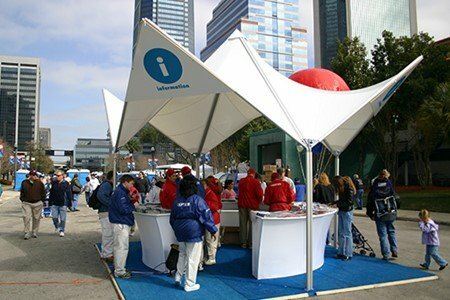 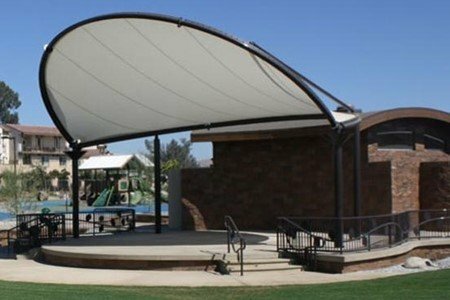 The 18m x 9m tensile structure was the best possible design solution. 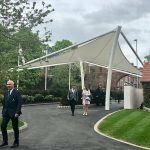 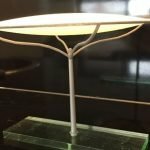 This particular fabric canopy has no tie backs for the steel frame. 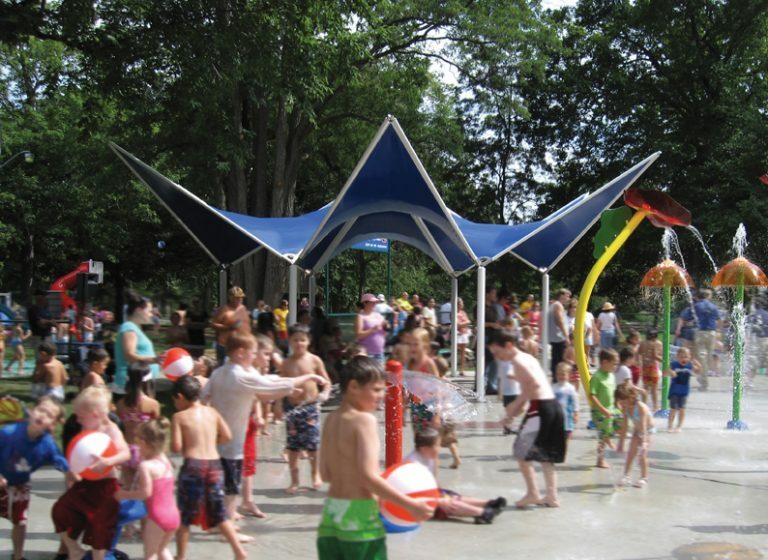 It’s a closed system and the framework consists of one boom arching up while the other is arching down. 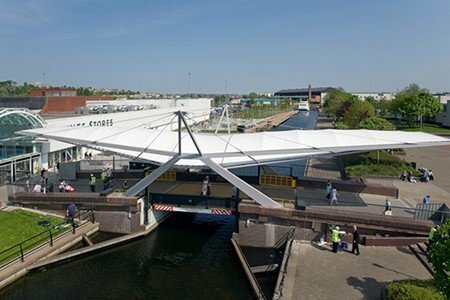 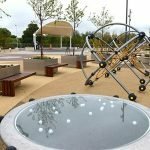 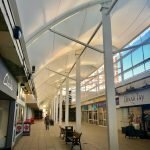 In order to ensure the space beneath the canopy is dry, a fabric gutter system was welded to the canopy around the edges of the structure.